The Other Side of the Counter: For Our Own Comfort, or For Those We Serve? I went to the Post Office earlier this week to ship a package, and while I was waiting in line I noticed a lady with a pile of envelopes and a stack of form letters filling out the little green certified mail forms. I got a glimpse of the letters and I recognized it was our required zoning action notification letter. I’m aware that applicants must do this to apply, but I think this is the first time I have had to watch the effort in person. The current format of our zoning application requires that the applicant does every bit of the legwork. I was aware that the process was arduous and definitely designed to discourage people from trying. However, seeing an actual human being in my neighborhood post office attempting to get it done was impactful. To apply for a zoning action at my city the applicant must make a request to get a map from our zoning office identifying the parcels they are required to notify along with emailing someone else to request the neighborhood associations that they are required to notify. From there the applicant can take that map to the County Tax Assessor for assistance in identifying the property owners or use the online land roll to look them up. Next, the applicant must fill out a form letter explaining what action they are requesting, when the public meeting will be held, and who to contact for more information. Since we allow the applicant to fill it out we get a variety of methods – some applicants simply fill in the two or three blanks and some create informational packets of their own including a map or notification of an additional community meeting for more information. The applicant now has a list of twenty or more property owners’ addresses and a pile of form letters. Next, they typically head to the post office and hand address each certified mail form, pay the fees for postage and get them mailed. Once all of these items are completed, along with the applicant providing a typed up property description from their deed, we will accept the application and fee. Sometimes they get it right, sometimes they don’t and have to start over or repeat parts some of the steps. Needless to say- this is not a very human scale process. So what could be different? We have GIS capabilities that easily allow us to select all the required property owners who require notification and create an excel sheet listing each with their contact information. 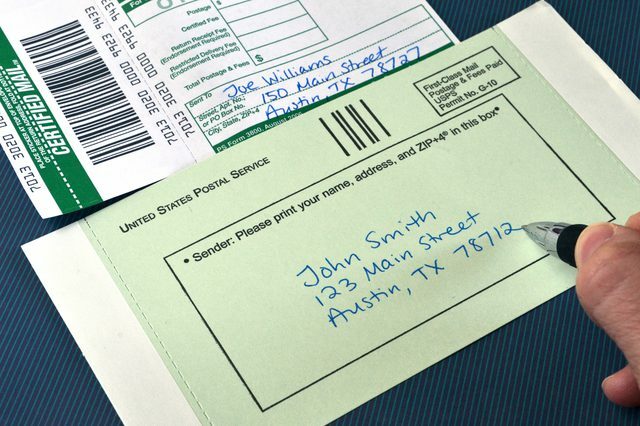 We can easily create mailing labels for the applicant so that the applicant can simply stick a label on each certified mail form. We could accept the application in steps- the base application and then work through the notification process with the applicant. It doesn’t take much effort to come up with a few easy incremental improvements, however, each improvement is a little more work for our staff. When you see what the applicant experiences as they attempt to complete the process it seems obvious to me- a few more minutes of staff time to give our communities members a better experience seems worth the effort. Better delivery will always be worth it. I’d like to leave you with two quotes from my 2018 Code for America Summit recap post that really sum up how I feel about seeing a person actually experience our processes beyond interacting with them over a counter. “Focus on systems that help people succeed, not trip them up on technicalities,” Evonne Silva– Code for America. “Shift the culture from making it easier for ourselves (government) to making it easier for those we serve,” Maria Benjamin– City of San Francisco Office of Housing & Community Development. If we follow these two simple suggestions, we can drastically improve the interactions our communities members have with us on a day to day basis. Disclaimer: We are currently working to make many of our processes more human-centered, this one is up for an overhaul in the next few months. So no worries- we are actually fixing this!